It is well-known that winters in Denver, Colorado could get really cold. While the winter could provide fun outdoor snow activities and could dress the landscape view with snow-capped mountains, the drop in the temperature could be bothersome. 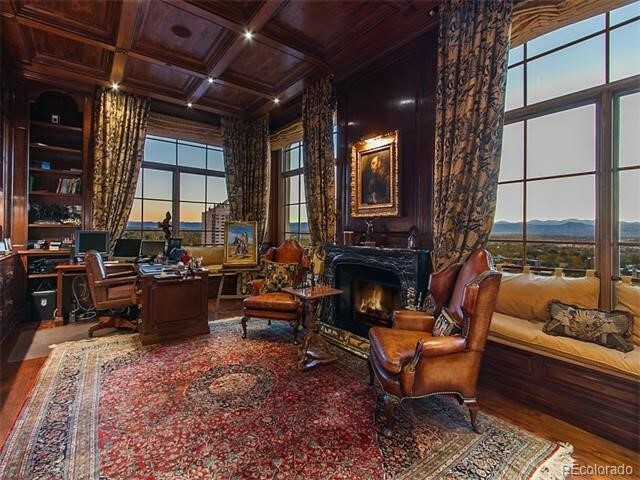 Good thing that luxury homes in Denver have fireplace feature that could offer more than warmth during cold nights. City-wide blackouts and power outages are inevitable even in the best of cities. Having a fireplace in your home could really help in providing heat and light, as well as saving up your generator fuel. As long as you have stacks of firewood, you’ll have light and heat even when there’s no electricity. Since flames in fireplaces are a lot larger that flames from candles, the light they could provide would make a huge difference in the darkness. What’s really good about fireplaces is that they are aesthetical as they are functional. In luxury homes, fireplaces are not just simple niches in the wall as they are built with artistic touch that corresponds to the whole design of the house. Tudor-inspired houses have vintage style fireplaces, while postmodern houses have contemporary-styled fireplaces. Fireplaces have become more than just a hearth for heat, light, and cooking. Even fireplace mantels have their part in showcasing decorative items. Without a doubt, fireplaces have become one of the things that make houses look beautiful. Lighting always sets the mood as what can be seen when watching films. They emit soft, ember light that could give off a romantic aura or a cozy feel when matched with the right room setup. With the crackling sounds the fire makes and some music, the mood is set. Heating the house using a fireplace is more eco-friendly than using a common heater that runs on fossil fuel. This means two things: you can use less of the fossil-fueled energy supply, and burning wood reduces carbon footprint because it has lesser carbon emissions compared to heating appliances that use fossil fuel. Make the best out of life in Denver, Colorado by choosing to live in one of Denver luxury homes featuring gorgeous fireplaces that will keep you warm, cozy, and proud.